Game of Traffic is a novel traffic guidance game where all participating players can contribute in order to reduce traffic on main roads and bring everyone to his destination as fast as possible by splitting up traffic, which is embedded as a game, before the saturation of the road is reached. As a side effect we would reduce useless carbon-dioxide emissions caused by traffic jams. One of the main features of the application is the collection of information from user’s anonymized traffic data (car as well as bike). This data would be published on the Luxembourgish open-data platform for later reuse i.e. in order to analyze traffic patterns and plan future road constructions. 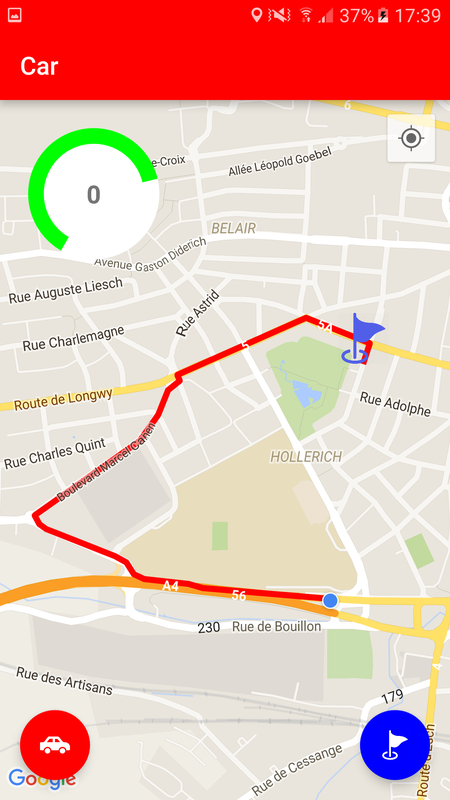 App can provide traffic information for cars as a dataset. App can show real time bus data. Using all possible roads to reach a destination for traffic balancing. This working application was developed by Christophe Atten,Christof Torres,Angelo Migliosi and Gary for the GameOfCode2016 Team DevNull.